Every day, I receive an email or read a comment from members suffering from piriformis syndrome and its accompanying pain. I have noticed that no matter what the original incident was, piriformis syndrome was either part of the symptom or an aftermath of surgery. As I have learned to always look at physical pain from all angles (even those that don’t seem obvious), I want to list below other articles that may support you in your healing journey. Related: Piriformis syndrome do’s and don’t and how to fix your low back. Related: Why I’m following the GAPs diet to heal my low back pain. Also, don’t forget to grab your free back pain kit. You will get specific resources for chronic back pain to help you in your healing journey, plus monthly private emails packed with tips, motivation, and access to my email. Yes, I do consider piriformis syndrome to be a symptom, especially when the person didn’t experience any direct trauma (falling, pulling the muscle, other direct injuries). It is fascinating how much you can learn about your body, and yourself when you start having chronic pain. It’s like out of a sudden, you are starting to get to look at yourself through a whole new level, through a new lens. During the past years, I have collected many workout journals that have supported me, as I monitored my progress each day. A lot of exercises that didn’t work and others that did wonders for me. Below I want to share some of the best weak glutes strengthening exercises that have helped me tremendously in alleviating piriformis pain and making it go away for weeks. The pain would come back at various occasions (as you may have noticed if you were diagnosed with PS), but consistency always paid off. I modified a lot of my exercises to fit my needs and I encourage you to do so as well. Before I jump straight to the workout video, I just want to post about a little somethin’ somethin’ I’ve been super excited about for the past week! 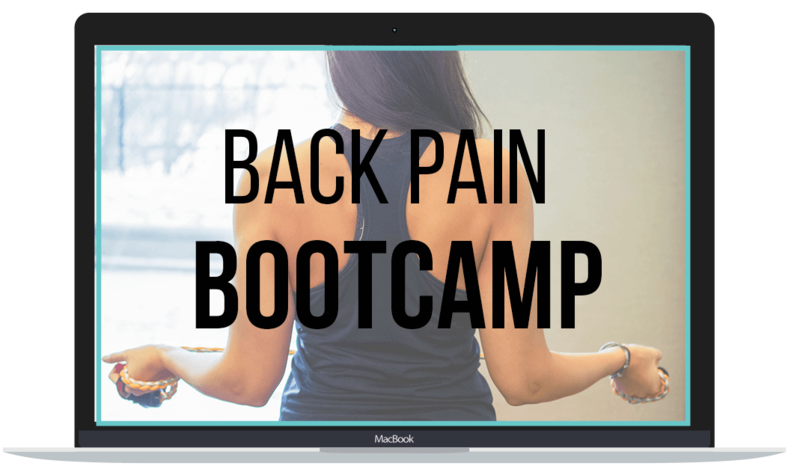 The back pain bootcamp is Open for enrollment!! It’s a program designed for back pain and piriformis syndrome help you get relief while gaining your strength back! and now my friend, let’s jump into my favorite weak glutes strengthening exercises! Rest: 30-50 seconds between each exercise. This circuit starts by activating the glute med muscle, which is located on the side of your buttocks. Because we often don’t include that many lateral exercises (such as the side lunge, the 3-way lunge, the side to side squat), it tends to get weaker. This puts more load on the piriformis muscle and is a lot of time the reason of piriformis spasms and overload (again, a case where piriformis syndrome is a symptom of an underlying weakness). We fix this by strengthening the glute med muscle and activating it with the side to side walks, and the standing side raises. The Standing kickbacks will activate your glute max muscle which stabilized your pelvis and also tends to be weak and even dormant due to a sedentary lifestyle and long hours of sitting. The glutes Kickback is a great isolation exercise to activate this muscle. Make sure you are not using your quads and hip flexors to help you complete the movement. Do this by squeezing your glutes tight every time you generate the movement. The bridge exercise is also another glute max strengthener. I love including it in every one of my workouts. You can add some resistance by wearing a loop band around your thighs. I also included the superman exercise as in my opinion, if you have no time to do none of the exercises in this routine, that’s one exercise you want to pick. This fantastic movement works your glutes, hamstrings, core, lower back, and upper back. It also helps re-align your posture (as we tend to spend most of our days doing things that internally rotate our shoulders). You will be forcing your body to externally rotate (the opposite of what we do all day) which may feel hard/awkward, but after a while, you will notice how good it feels to stand straight with a straight back and good posture. That’s it for today’s post. I hope you give this circuit a try. A short disclaimer: If you are experiencing any pain at this moment, please take few rest days. There is no point in trying to train a muscle that is already spasming, you may just make the condition worse. Ask your physician if you have the green light to engage in activities, and I encourage you to only include this series when you feel you can (always listen to your body). If you feel you can only do 1 or 2 exercises, that’s okay! 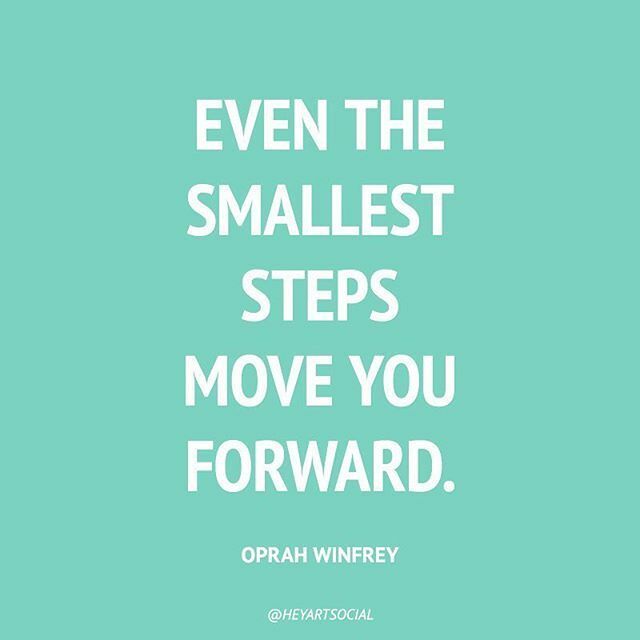 Build your strength back one step at a time.